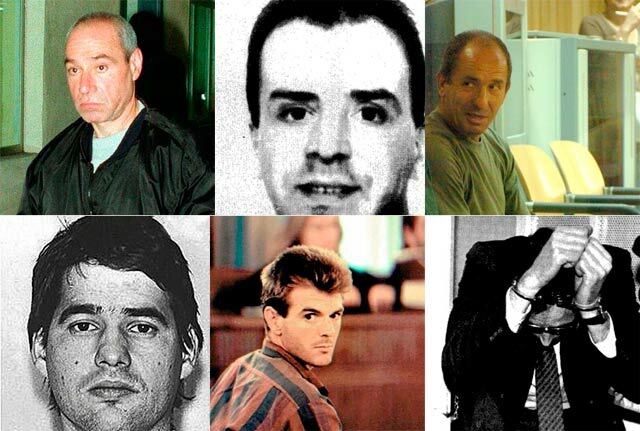 The EU Court of Human Rights has overthrown the “Parot Doctrine”, which means a large number of ETA terrorists and mass murderers could be released immediately. In short, the Doctrina Parot was an interpretation of Spanish parole laws which said that when someone was in jail for concurrent sentences, parole could only be applied per sentence, not the whole amount. So lets take the example of Inés del Río, the ETA terrorist who took his case to the EU HRC and won today. He was sentenced to 3828 years in jail for planting bombs which killed 24 people. Now it gets complicated. IN theory, you can only be behind bars for 20 years in Spain. However, when so many concurrent sentences are joined up, you can spend an additional 10 years in jail because of overlap. So Inés should have been scheduled for release in 2020. However, Inés argued that he was accumulating “good behaviour” points which should have reduced his total jail time. Now, the Parot Doctrine, established by the Supreme Court, says that in these cases, his reductions must be applied against the individual sentences (which total 3828 years), not the maximum 30 years he’s actually going to spend behind bars. The EHRC has now ruled that this goes against his human rights, as it means he is working for parole points which would never be applied. If he is entitled to parole points, they must be applied against the 30 years. So the jail doors must now open (within days) and a flood of people -at least 150 people according to El Mundo – sentenced to the maximum amount of time under Spanish jail laws released back onto the streets. Something nobody is very keen on. This entry was posted in Blog and tagged doctrina parot, jail by David. Bookmark the permalink.